From ethereal beaches to misty mountaintops, Malaysia is one of the world’s most popular tourist destinations. Every year, over twenty million visitors flock to Malaysia and are inspired by its immense diversity of cultures, traditions, species and terrains. This anthology comprises stories of humour and adventure and danger, packed with sharp observations and poetic insights. Sini sana is Malay for ‘Here and there’. There are scary encounters with trees that seem to come alive, comic turns by a herd of elephants, and a child possessed by a Hindu god. Man battles nature, fending off octopi and mischievous monkeys. There is the possibility of romance on an island idyll and finding enlightenment on an ancient lake. Foreign visitors suffer culture shock as do Malaysian urbanites when they travel to the rougher, more boondocky parts of the country. These are stories of islands, jungles, shopping malls and exotic fruit. They speak of the rich textures and nuances of the past that have shaped the vibrancy of the present. Here you will find the very best travel writing about Malaysia from twelve emerging voices, from British backpackers and Irish, Indian and Canadian expats to Malaysian travellers on road trips and backwater excursions. All of them come together with the most gripping first-person accounts to evoke the experience of being in Malaysia. 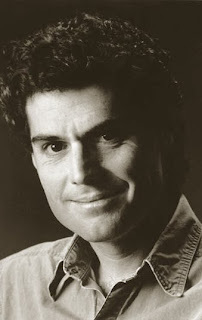 TOM SYKES has published short fiction and journalism around the world in such publications as GoNomad, Underground Voices, Taya Literary Journal, Screaming Dreams, Jupiter SF, Ruthless Peoples, Lunar Harvest, WeBooks, The Philippine Free Press and Quill. He co-compiled and -edited No Such Thing as a Free Ride? for Cassell Illustrated which was serialised in the London Times and named the Observer’s Travel Book of the Month. The latest book he co-edited is Fog in Channel ...?, a book that explores Britain’s relationship with mainland Europe, published by Shoehorn Publishing in the U.K. He is pursuing his PhD in Creative Writing at Goldsmiths College, University of London. TAN MAY LEE has been published in anthologies such as Urban Odysseys and Body2Body. She has written for such publications as Management, Seni Hias, Heritage Asia and BestFoodJunction.com, The Star, Malay Mail and Quill. 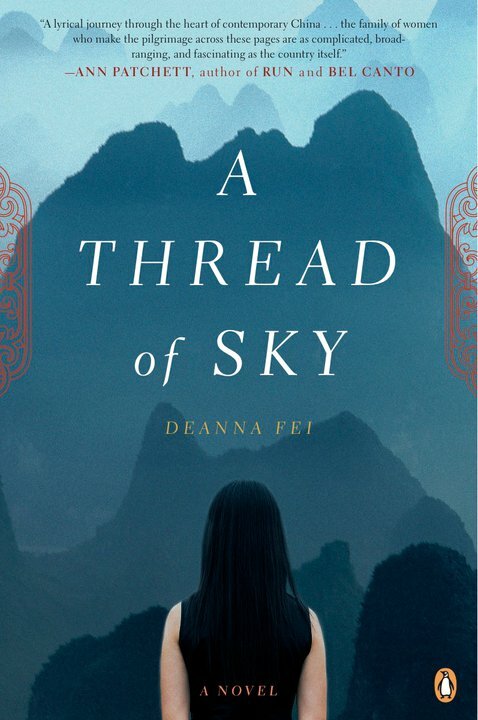 DEANNA FEI’s début novel, A Thread of Sky (Penguin Press, 2010), is the story of a family comprising three generations of Chinese American women who go on a tour of their ancestral homeland. Fei was born in Flushing, New York, and has lived in Beijing and Shanghai. 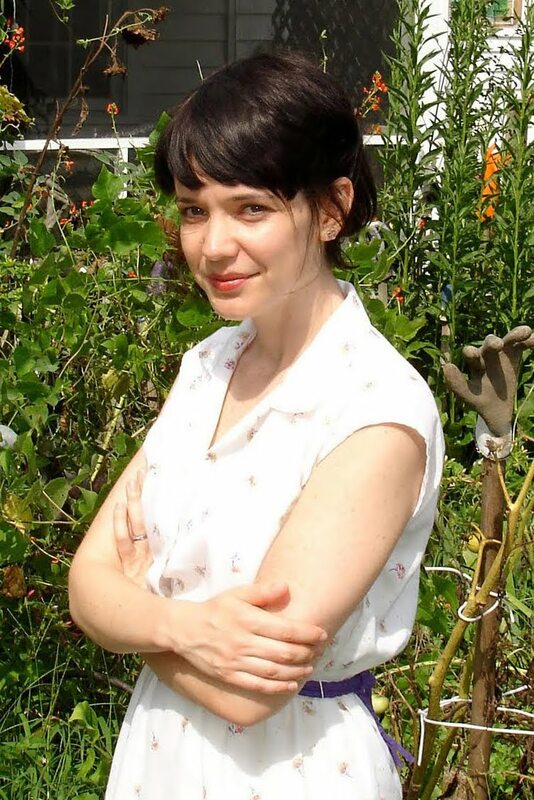 A graduate of Amherst College and the Iowa Writers’ Workshop, she now lives in Brooklyn, New York, and is working on her second novel. 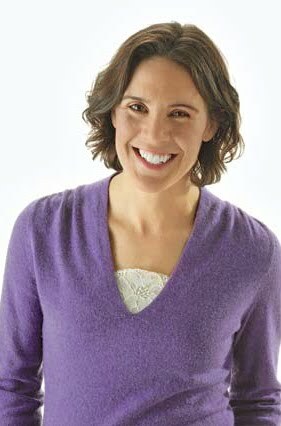 To read her blog, reviews, and more, visit deannafei.com. Tell me a bit about yourself and your family history. I’m the middle of three daughters born in Flushing, New York, to parents who emigrated from Taiwan in the 1970s. My family has always been extremely tight-knit, perhaps partly because we grew up separated from extended family by long distances. To this day, my parents and my sisters keep me grounded and inspired; they are my backbone. You were born in New York. Have you always lived in America? I lived in China for four years—a year in Beijing, three in Shanghai. I also lived in Auckland, New Zealand, during my junior year of college. These experiences of living abroad have been some of the most eye-opening of my life, in terms of exploring my own ancestral home, discovering a country that had been entirely foreign to me, and, perhaps most importantly, teaching me to view my own society from new and critical perspectives. What’s it like to live in New York? It’s true that New York is a big, exciting, fast-paced city, but compared to a city like Shanghai, it can feel pretty calm. For me, it’s simply home; it’s where I grew up and where my family and friends are. The truth is, I’m probably not the best person to ask, since I’m usually locked away writing or reading. I can’t remember a time when literature wasn’t my primary passion. When I was three, I was so shy that my teachers told my mother that they feared I had a mental handicap. My mother marched home and recorded me reading aloud my favorite book at the time: Dr. Seuss’s The Cat in the Hat. My teachers became newly attentive, and I gained the conviction that books could transform a life. 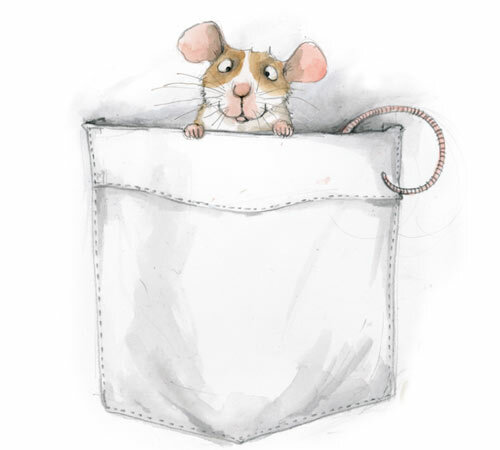 A few years later, I wrote my first short story, about a mouse who has no friends because no one can hear her when she tries to talk—until she gets on a rollercoaster, starts screaming, and finds her voice. Writing, to me, is still wrapped up in that: the struggle, the terror, the thrill, and the power of making yourself heard. Being a writer is simply about writing: the work, day after day, of crafting precise and honest sentences, bringing original characters to life, striving to tell stories that matter. I think one of the best things about writing is that it forces you to resist complacency. That also means that it never gets easy. Tell me a bit about A Thread of Sky. What was the seed of the novel? How did you go about creating the characters in your fictional universe? Did you know where you were going with the novel as you were writing it or did it evolve on its own? What are some of the themes you dealt with in it? Were you conscious of these when you first set out to write the story? Was there much research to do? 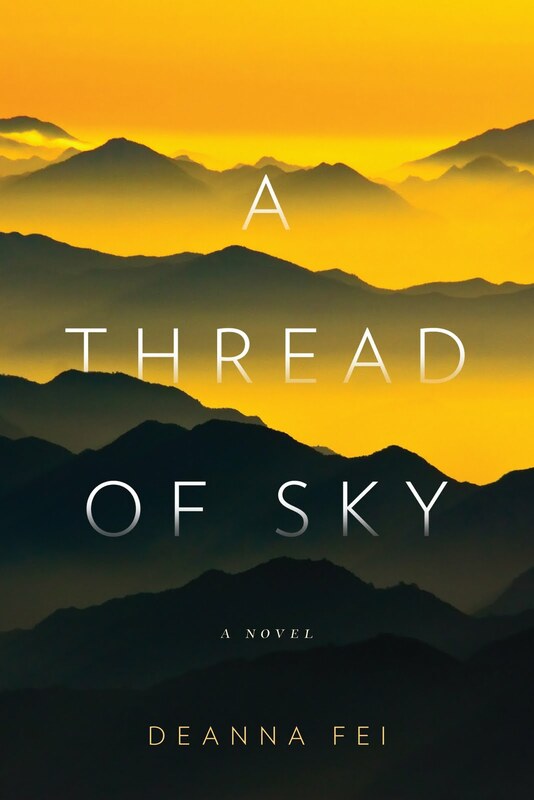 A Thread of Sky is the story of a family of six women who reunite for a tour of mainland China, seeking to reconnect with their ancestral home and with one another. The novel was inspired by an event in my own life. About ten years ago, I toured China with my mother, my sisters, my aunt, and my grandmother—six strong-willed, complicated Asian American women in all. I was struck by how seldom I have seen characters like these honestly and fully portrayed in American literature—and by the dramatic possibilities of this setup: the conflicts and secrets among six women, the generational and cultural divides in one family, the paradoxes inherent in seeing the country where one is supposed to be “from” on a guided package tour. A few years later, I hadn’t stopped thinking about that tour. I started scribbling some notes and the characters began taking on lives of their own, completely apart from their real-life counterparts, and soon I was writing a novel. I knew that in order to write from the points of view of the older generations, particularly the grandmother, I needed a much deeper understanding of China. So I moved back there on a Fulbright Grant, intending to stay for another year. I immersed myself in researching contemporary Chinese history and soaking up modern life in Shanghai, while making periodic trips to the cities on my characters’ itinerary. This time, I viewed the sights through their eyes, carrying their histories and personalities everywhere I went. I also researched southern village life in the 1920s and ’30s, the brutality of the Japanese occupation, the ravages of civil war on ordinary citizens, the nature of living as exiles and immigrants, and the history of Chinese feminism. But even my daily life became my daily inspiration, whether I was riding the bus, ordering breakfast, hanging my laundry out on bamboo poles, or going to a gallery opening. My novel continually evolved during my time in China—so much so that it’s difficult for me to recall that real-life tour. It transpired over just two weeks, whereas the writing of A Thread of Sky became a six-year odyssey. The emotional weight of the novel seems to rest on Irene, the mother. You seem to give more weight to her as opposed to the grandmother, the aunt or the three grandchildren. Was that deliberate? I was about a year into the writing when I realized that the story had to begin and end with Irene. My original intention was to give equal weight to all six women, but I came to see that Irene’s emotional journey was, in many ways, the heart of all of their journeys. She is the centre of this family, in bridging the generations between her mother and her daughters and in providing the impetus for this reunion. 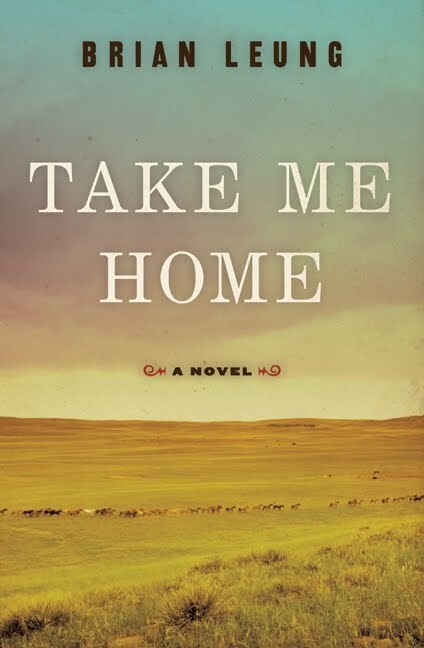 While the other characters are, each for her own reasons, deeply ambivalent about embarking on this tour, Irene desperately wants to reconnect with her family and her ancestral home. 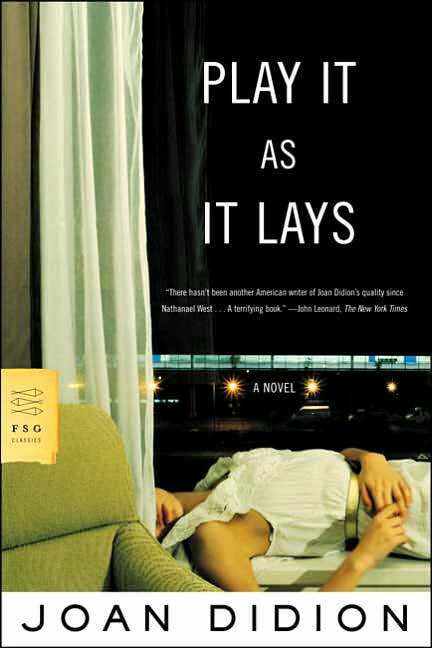 Her hopes, her sense of deep disillusionment, and her eventual coming to terms helped form the overall arc of the novel. What are some of the common threads that bind the three generations of Chinese women? All of the women are strong-willed, ambitious women who feel a sense of duty to make a difference in the world around them. 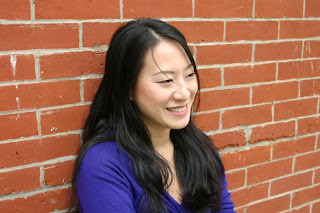 Until this tour begins to take shape, the American-born daughters of this family have always thought of these traits as being somehow tied to their being Westernized, to feeling the need to prove themselves against the old stereotype of submissive Asian women—but during the course of this novel, they begin to see how, in a sense, it actually can be traced back to their grandmother, who was once a leader of the Chinese feminist movement, and to a historical tradition of female heroism in China. What does it mean to be Chinese American? Do you think Chinese Americans are still seen as foreigners in America even with the passage of time? Why so? Being Chinese American means something different for everyone, and it’s difficult to generalize across regions and families and generations. Having said that, I think it’s still the case that many Chinese Americans are still often treated as more “Chinese” than “American”—in other words, as foreign. There are still many simplistic images of Asia that are deeply rooted in the Western imagination: the exotic, the repressive, the mystical, the submissive, the monolithic, and so on. Still, it’s important to note how much great work is being done by Asian Americans in literature, art, politics, social justice—in every realm of American society. And I think that we will continue to gain more recognition. Is there always a conflict between American and Chinese ways? The conflicts between American and Chinese cultures are well-documented for good reason—but there’s one commonality that is often overlooked: citizens of both nations have a deep-rooted sense of being at the centre of the world. This has wide and profound implications in how the two nations view themselves, each other, and the rest of the world. What is it like to be American Chinese in America? What is like to be American Chinese in China? One central aspect of both experiences is often being confronted by the question, “Where are you from?” In America, no matter if you’re American-born, the expected answer is usually “China,” or someplace equally foreign. In China, the answer is more complicated, but whatever it is, it usually leads to more questions: Why don’t you look American? Why don’t you speak Chinese? Where’s your ancestral home? All of which might be perfectly legitimate questions, but to the person on the receiving end, they can induce considerable confusion and frustration about one’s identity and home and sense of belonging. After years of revising, I did arrive at a sense of confidence that the core of my vision for A Thread of Sky was on the page. But even now, it’s difficult for me to reread it without continuing to fuss with it in my head. I’ve heard it said that your work as a novelist is never finished; at a certain point, you just have to stop. That certainly rings true to me. 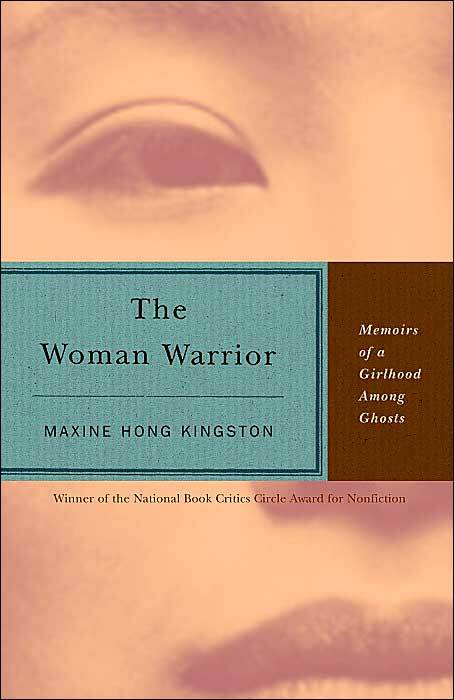 Growing up, I read almost any book that caught my eye: Maxine Hong Kingston’s The Woman Warrior: Memoirs of a Girlhood Among Ghosts to Sweet Valley High, Betty Smith’s A Tree Grows in Brooklyn to Charlotte Brontë’s Jane Eyre, Hans Christian Andersen to Louisa May Alcott. My mother always made sure there were lots of books around me, whatever the genre or age level. I almost never quit on a book, and I read the books that I loved again and again. I’m sure lots of material went over my head, but I think that expansive approach to reading—and, by extension, to the world—was in itself more formative than anything else. Good fiction is precise and honest; the prose, characters, and plot are all of a piece, a marriage between form and content; and it takes us on a journey, showing us complexity and humanity in places we hadn’t known. To me, what distinguishes great fiction is an elevation of the craft itself, a rediscovery of language; and a feeling of transcendence, of the human condition laid bare. It’s the kind of thing that you just feel. Some of my favorite novels are Margaret Atwood’s The Blind Assassin, Joan Didion’s Play It As It Lays, Jeffrey Eugenides’s The Virgin Suicides, Graham Greene’s The Comedians, Louise Erdrich’s The Master Butchers Singing Club, Shirley Hazzard’s The Transit of Venus, Hemingway’s The Sun Also Rises, Kazuo Ishiguro’s The Remains of the Day, Carson McCullers’s The Heart Is a Lonely Hunter, Ian McEwan’s Atonement, Rohinton Mistry’s A Fine Balance, Jean Rhys’s Wide Sargasso Sea, Marilynne Robinson’s Housekeeping, Arundhati Roy’s The God of Small Things, Tayeb Salih’s Season of Migration to the North, and Edith Wharton’s The Age of Innocence. Frances de Pontes Peebles’s The Seamstress is an epic novel of two sisters in 1930s Brazil, one who becomes a notorious outlaw while the other becomes a coddled socialite. 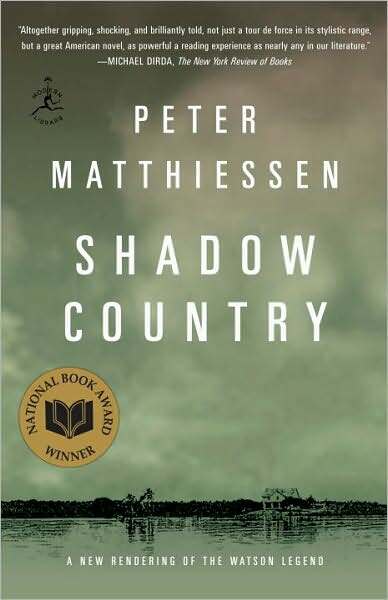 It’s a great page-turner as well as a lyrical meditation on desire, survival, and the landscape and history of Brazil. Lately, I’ve been reading books that are quite a departure for me: true crime novels. 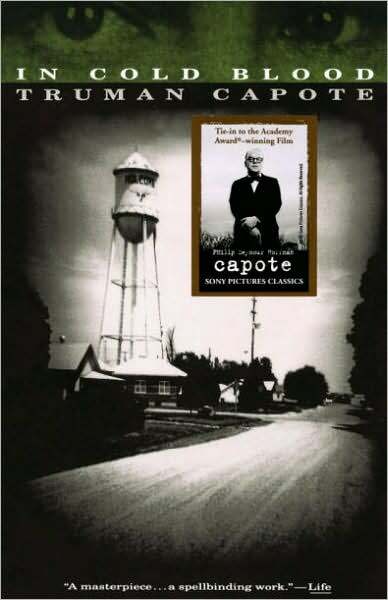 The best of them are Norman Mailer’s The Executioner’s Song and Truman Capote’s In Cold Blood. Joe McGinniss’s Fatal Vision is also very good, and I’m on the lookout for more. My new novel is more plot-driven, and I’m interested in exploring how ordinary lives get overtaken by terrible events. I think creative writing programs are wonderful opportunities for many reasons, the primary one being that they provide the most precious commodity of all: time (and often money) to write. But I also think that if we value a vibrant, diverse literary culture, it has to start much earlier than that. One of the effects of American social stratification is that those who consider entering creative writing programs are a very limited and relatively privileged pool. Having worked in public schools for most of my adult life, I’ve seen so many voices get lost that we would do well to nurture. I think short stories and novels are actually very different art forms. Short stories must be utterly distilled, while novels need a sense of expansion. This filters through every aspect of the craft. I used to write short stories, primarily, but I’ve come to love the sense of total immersion in writing a novel, and the way it gathers momentum and pushes toward big questions. 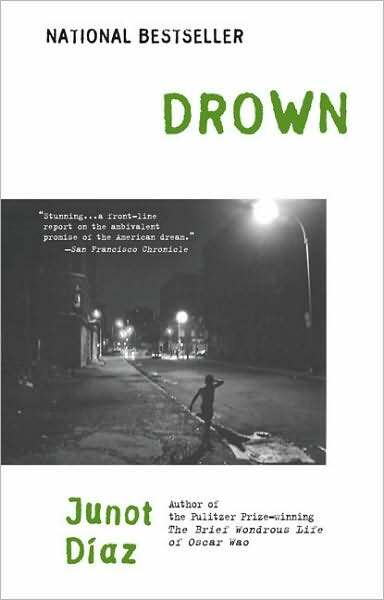 I have a number of favorite short-story collections: Junot Diaz’s Drown, Lorrie Moore’s Like Life, Mary Gaitskill’s Bad Behavior, Eileen Chang’s Love in a Fallen City, and just about any story by Alice Munro or Anton Chekhov. I’ve never even held an e-reader, and it’s hard for me to imagine giving up the tactile sensations of curling up with a book. Also, now that I’ve seen how much care went into the hardcover design of A Thread of Sky—the book jacket, the typeface, the paper stock—it saddens me a bit to think of all of that getting lost in digitization. Ultimately, though, anything that helps make books more accessible to our increasingly harried readers is a good thing. 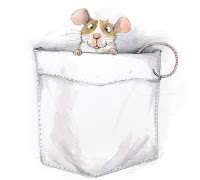 EMILY GRAVETT creates playgrounds and worlds with her children’s books, where young readers are invited to touch postcards, photographs, even library cards, and squeal at the fun pop-ups. She won the Kate Greenaway Medal twice, for Wolves in 2005 and Little Mouse’s Big Book of Fears in 2008. 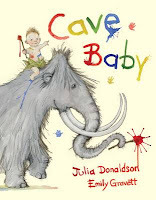 She says she is “endlessly fascinated by the possibilities that putting words and images together can create.” In 2010, Gravett teamed up with writer Julia Donaldson to produce Cave Baby, a wonderful picture book about a cave baby who discovers the joy of creating worlds with a paintbrush. You were quite independent in most of your books. 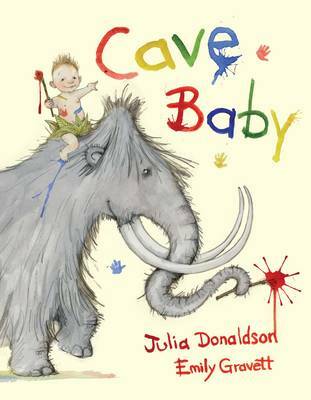 What was it like to work with author Julia Donaldson for Cave Baby? It was a radically different process for me to illustrate somebody else’s text. Contrary to what you may think, there was very little contact between Julia and me when we were brought together on this project. Julia gave the text to our editor Suzanne who passed it on to me. Suzanne showed Julia the illustrations as they progressed and gave Julia’s feedback back to me. It sounds odd, but actually it’s very sensible and common to keep authors and illustrators apart. Author-illustrator teams are put together because the publishers feel that both the author and illustrator’s contributions will add up to a sum greater than the individual’s parts. They did not want us to influence each other. What were the ideas behind Cave Baby, the symbolism of the paintings? For most of the book I tried to stay with fairly natural colours—red-ochre’s, browns and warm yellows. I wanted to give the reader a sense of moving through the book on a journey. The text talked a lot about the landscape so I had to make this an important part of my illustrations. If you lay the pages of the book side by side, they would form a panorama of the landscape that the mammoth and Cave Baby are moving through. There are only a few pages with no backgrounds, and these symbolise the times when Cave Baby has become so absorbed in his own joy of painting that everything else has vanished for him. At the end of the book I use brighter colours to give an exuberant feel to Cave Baby’s painting. The inaugural Asian Festival of Children’s Content was held in May 2010 to bring quality Asian content to children to make them more aware of Asia’s unique environment and culture values. Were you exposed to books about other cultures at all when you were growing up? I’ve been wracking my brains trying to think of the books I had when I was growing up, and trying to remember if many of them were about people from other cultures, but sadly I don’t think they were. I of course had many American books, and a few European ones, but I can’t think of a single book I had from Asia. That’s terrible, isn’t it? I think that in the UK, although in some ways we are very lucky because we have such a strong tradition of children’s literature, it has the downside that we don’t import as much from other countries. In picture books, what would you say would be the best way to engage the imagination and help children to construct the story for themselves? Probably the best way to engage a child’s imagination is just to share the book with them. Show them the bits that you like and try and get a dialogue going with the child. It also helps to let the child pick a few of their own books, even if you normally choose most of them yourself. You may not have the same tastes! By far the most important factor though, whether it’s in relation to engaging imagination or improving literacy is to make books fun. I love the touch and feel of your interactive books, especially The Rabbit Problem, Little Mouse’s Big Book of Fears and Wolves. How did you go about conceptualising them? Was it very important to give children a real sense of the world? Thank you! When I’m making a book with a lot of different elements, I’m afraid it’s a bit of a mishmash. I normally have drawings in my sketchbook of roughly how I want the pages to look, but it’s not until I start the finished artwork that my ideas firm up. I love using found or realistic objects in my book. I don’t know if it’s important to give children a real sense of the world, I just know that when I was a child the more realistic things were the more I liked them, and replicas of things that adults used were even better. Now that more and more e-readers, and the overlord iPad, are here, the format of book publishing has evolved. What are your thoughts on this? Nothing can compare to flipping pages and touching pop-ups! The physicality of a book, the smell, the feel of the paper, the control the reader has of the pace just can’t be replicated, but that doesn’t mean I’m anti-technology. I believe that over the next few years people will develop a different way of using these devices that isn’t copying or replicating paper books. Something unique that will hopefully add topublishing rather then detract from it. What inspires you most in your art and your writing? Are you inspired by the same thing for both aspects, or do you draw different influences for each? I think my writing and my illustration are so closely woven together that what inspires one will inspire the other. Inspiration is a difficult area for me. I never know quite where the next idea will come from (or when) and when (if) it does it’s normally from somewhere quite unexpected. Do you challenge stereotypes and clichés in your work? I’m really not sure. I find stereotypes quite fascinating. I think that when we analyse something visually, whether that’s on paper or in real life, we are relying on our own set of stereotypes and clichés to process the information we see before us. Outside writing, what are your other interests? Over the past 10 years I have moved four times, and it’s almost felt like a hobby (but without the fun)! I’ve been in my current house for three years now, and have just about finished decorating. I’m starting on the garden now, so I could say I like gardening, even if I’m not very green-fingered. I also have two dogs, which take up an extraordinary amount of time, but I adore them. When I’m at home I like to cook, especially cakes. What are your plans for the rest of 2010? Are you already working on your next book? Sadly I’m not. I’m in the ‘waiting for inspiration’ part of my life which although I hate and hope doesn’t last much longer, it does mean that the plants will be watered, the cakes will be baked, and the dogs will get extra long walks! More than just a repository of food terminology or recipes, A Cook’s Journey to Japan is as advertised: a record of Feldner’s personal culinary journey throughout Japan, the continuation of a love affair with the country that began when she first arrived to teach English. It’s like peeking into the kitchens of everyday Japanese, and by extension, their personalities, lives and culture. Feldner calls the book “an act of desperation,” but it’s hardly a harried jumble of text and pictures. 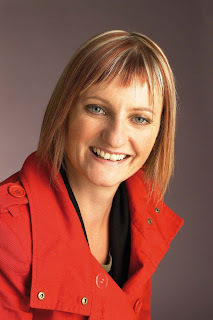 The author sticks with people from the smaller towns and rural areas, whom she finds more open, and willing to talk and share. The language speaks of her love for her adopted country—or did it adopt her? The characters she encountered seem to suggest the latter. The aunt of a friend, a friend of a said aunt, generous café owners and chefs, a gallant director of an information centre and his fisherman friend, and so on. She also braves such dangers as encountering an old man with “questionable” motives and getting stranded in paddy fields in the middle of nowhere. It is undoubtedly a labour of love. The inclusive vibe of this culinary journal is somewhat upset by her goal of writing it for other Westerners like herself, scared stiff by more “foreign or difficult” ingredients and presentations found in other Japanese cookbooks. Even the recipes are organised according to how gwailos eat and cook. Curious Asian epicures might feel a bit left out, but that’s a minor hiccup. Already an old hand at Japanese cooking? This book might not be for you. Home cooking may be less intimidating, but without knives, open flames and hot oil, you won’t accomplish much. Labelled pictures help a lot in introducing the tools and ingredients in Japanese home cooking. Learn how to slice and dice veggies (down to the millimetre in one instance), make real wasabi (grind the root in a slow circular motion with a sharkskin grater for best results), and how to make dashi (stock) and perfect sushi-style rice. The steps also serve as warm-ups for the recipes that follow, from snacks and salads to drinks and desserts. Each recipe is well documented; for the more complicated ones, Sarahsan takes you gently by the hand and shows you how to do it, slipping a few tips and trivia about the ingredients, the dishes, and the terrible, terrible things that can happen if you screw up. Of course, the author and publisher won’t be responsible if you happened to use a bad fish, lop off a finger or burn your house down while giving this book a go. Narrowing down the scope of cuisines and places to cover helps keep the book focused, so there really isn’t much room for improvement. The omission of unagi (eel) may have been deliberate as none of the ingredients mentioned require special handling (eel blood is toxic). All in all, a nicely done visual feast and window into the lunchboxes of everyday Japanese, and a gift to anyone who wants to cook differently. Like most good cookbooks this is not one to read on an empty stomach. Even pictures of a simple rice-and-peas dish will send you rushing towards the nearest eatery, Japanese or otherwise. Why “100 Recipes,” other than the fact that it’s a nice round number? Are there any that couldn’t make it into the book? I was, for instance, disappointed when grilled unagi wasn’t there. The total number of recipes in A Cook’s Journey to Japan is a result of how many recipes I collected while in Japan. I came home with roughly 130 to 150 recipes, which were then whittled down based on whether I remembered how to make the dish (in some situations my note-taking wasn’t the greatest), whether I was able to find the ingredients or an adequate substitute, or if the recipe didn’t get rave reviews from those tasting and testing it. Unagi is one of my favourite dishes! A recipe for eel was not included in the book as I was never in a situation where I had someone teach me how to prepare it. You call this book “A Cook’s Journey,” but you’re a food writer and editor of a recipes website. Your biography says nothing of your time as a pastry chef in a professional kitchen. If such a view is as dim as it sounds, what is your definition of who or what a “cook” is? While I have worked in the food industry and have spent time in restaurant kitchens, by no means do I consider myself a chef. This is especially true when it comes to Japanese food where it takes years of dedication and training to become a respected chef in Japan. A Cook’s Journey to Japan, on the other hand, is written from the perspective of an outsider looking in. I figured if a recipe or ingredient was new or confusing to me, it is quite possibly new and confusing to others as well. So I researched these “unknowns” in an attempt to understand them better, and then tried to explain what I learned as best as I could. As you mentioned, this is a cookbook written by a Westerner for fellow Westerners. As an Asian reading this, it’s hard not to feel left out at times. Why did you take this particular angle? I feel very fortunate that people around the world are interested in A Cook’s Journey to Japan. It was never my intention to make anyone feel left out! When I set out to write the cookbook, I intended it for a Western audience as I am a Westerner, so it was the perspective I was able to provide. It often seems that the culture and cuisine of Japan still remains elusive for many Westerners, and it was my goal to help make it less intimidating and more accessible for as many people as possible. There’s been talk that people nowadays don’t want to cook, and those who do can’t seem to do it right. What have you observed based on your travels and work experience in this regard? There will always be people who have no interest in food and cooking. And there will always be times when it’s easier to order takeout or heat up a frozen dinner. But on the whole, I don’t see one’s lack of interest in food or cooking as dire. On the contrary, food—in all its forms—is a very hot trend right now, and its increasing presence seems to be heightening people’s culinary awareness. Is one’s food culture important, and how does it figure in one’s history and society? I personally believe that food says a lot about who we are—everything from how we take care of our bodies (food as nutrition) to heirloom recipes passed down from generation to generation (food as culture). As I stated in the introduction to A Cook’s Journey to Japan, I believe recipes are so much more than just ingredients strung together. They’re about the culture they come from and the lives of the people who prepare them. FOR TWO WHOLE YEARS, Michael Shapiro’s job was to read only the best travel books, and then travel across America, Italy and the United Kingdom to have conversations with leading travel writers, such as Bill Bryson, Tim Cahill, Pico Iyer, Barry Lopez, Peter Matthiessen, Frances Mayes, Jan Morris, Redmond O’Hanlon, Jonathan Raban, Paul Theroux and Simon Winchester, among others. The end result of this is A Sense of Place: Great Travel Writers Talk About Their Craft, Lives, and Inspiration (Travelers’ Tales, 2004), an award-winning collection of Q&As with travel writers, told in their own voice as they told Shapiro about their lives, hopes, aspirations and thoughts about the world, complemented with excerpts from their books. Do you think it’s easier to be a travel writer than a literary fiction writer? Well, you need to imagine fiction while travel dictates the story. But it still takes tremendous talent to make it compelling. You still have to know how to structure a story and many of the same elements come into play: character development, suspense, lively description, scene setting, etc. What are your top destinations, and why? Often it’s a place I visited recently that made a strong impact. Many Americans think only about other countries, but I’ve just been on a 24-day river trip through the Grand Canyon that covered 300 miles of river. I used to work as a river guide and helped row our boat through the rapids. Often we gazed up at mile-high cliffs with rocks more than a billion years old—the American West is a treasure trove of wonders. It used to be and in some ways it still is. But basic travel is more affordable than ever—and some advocates of travel, such as Arthur Frommer, say it should be a right of everyone. I feel everyone should have some ability to travel, and when I go to places like Cuba, which has well-educated and curious people, I find it heartbreaking that most of them can’t leave the island. What was a situation that gave you trouble and how did you overcome it? In 1989, I got to the airport a day after my flight to Guatemala left. I went to the airline office and the manager clearly wanted a bribe to help me change my ticket. I wouldn’t give it to him—luckily back then the tickets were handwritten, so I took a pen and changed the date from “22” to “24” and got on the plane without incident. I wouldn’t try that today. Are you happy with the response to A Sense of Place? Yes, with the critical response. It got favourable reviews from The Washington Post, The New York Times and others, but the publisher ran out of books just a couple of months after it came out, so there were just a few books available during that first Christmas season, which hurt the book’s momentum. When you put so much effort into a book, you want it to reach as many people as possible, so this was disappointing. But getting response from individuals all over the world who have somehow found the book is the ultimate gratification. LOOKING SUAVE and James Bond-like, British novelist, critic and Independent columnist HOWARD JACOBSON after being declared winner of the 2010 Man Booker Prize for Fiction for his eleventh novel, The Finkler Question (Bloomsbury, August 2010), a tragicomic exploration of British Jewish identity and male friendship. This is Jacobson’s first time on the shortlist. 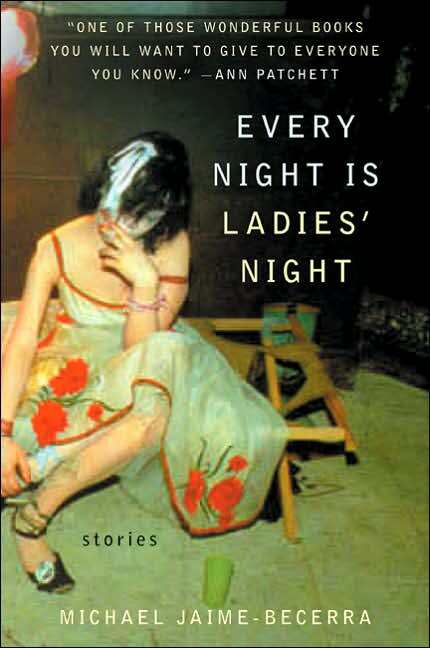 Jacobson, 68, was twice longlisted for the prize—for Kalooki Nights in 2006, and Who’s Sorry Now? in 2002. After splurging on a handbag for his wife with his prize money, I think Jacobson will still have lots of spare change! GOOGLE THE INTERNET for travel articles and you’ll find that the best written ones are by Rolf Potts. Potts grew up in Kansas, where he now also owns a ranch. He describes himself as a late bloomer, only seeing the ocean for the first time when he was 15, and not owning a passport until he was 25! He moved to southern Thailand for a few months to write his travel manual, Vagabonding: An Uncommon Guide to the Art of Long-Term World Travel, which was published to great success, and in 2008, the American publisher, Travelers’ Tales, put twenty of his best travel stories together to make the collection, Marco Polo Didn’t Go There. If you didn’t become a travel writer, what else could you imagine doing? Lots of things, actually. I love teaching—I teach a writing class in Paris each summer—and I can imagine myself doing more of it. I can also see myself being comfortable in all kinds of jobs, from working with my hands to being an entrepreneur. But of course I love being a travel writer and I can’t imagine changing my main line of work anytime soon. Do you think travel writing typically ranges from humorous misadventures to some form of self-realisation that ends with how the traveller is “humbled” by the whole experience? I think humour is an essential part of travel writing, since travel so naturally lends itself towards humorous situations. Plus, humour is often the best way to deal with cross-cultural misunderstandings. Travel constantly forces you into humbling situations, so it’s good to approach the experience with a keen sense of humour and self-deprecation. Do you think human beings are meant to be nomadic? Well, Bruce Chatwin seemed to think so. I don’t know if I could make a similar generalisation. I do think that nomadism is a huge part of our collective human past, and to travel is to get in touch with a very essential part of our human selves. 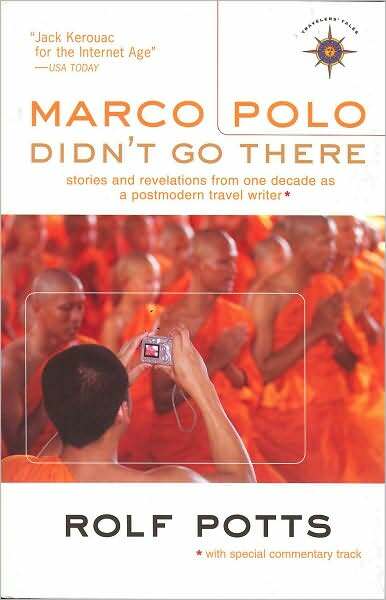 Would you say Marco Polo Didn’t Go There is similar to a collection of short stories? I’d say this is a good analogy. Collections of travel stories are very much like collections of short stories, and they are similarly hard to sell. I feel lucky to have been offered the chance to collect my stories in Marco Polo Didn’t Go There. 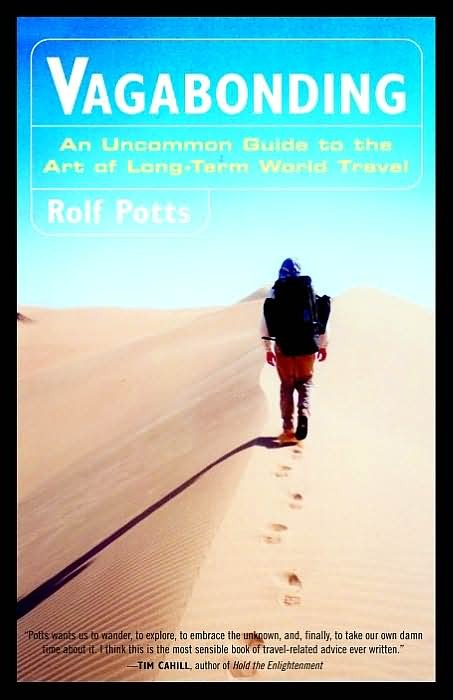 No doubt the strength and success of Vagabonding was a factor in this, since my first book has such a broad audience. Hopefully my future travel books will find a similarly broad audience, so I can do another travel-story collection in another ten years. What is it about travel literature that moves you more than, say, lad lit? You seem to know a lot about fiction as well; will you ever write fiction? I like travel literature because—when it is done well—it is outward-looking. So much other writing, from fiction to confessional memoir, can feel confined and self-obsessed, whereas travel writing endeavours to embrace cross-cultural situations. As for fiction, I’m definitely interested in writing fiction—but if I do it will probably have a similar sensibility to my travel writing, in that it will be about international and cross-cultural situations. 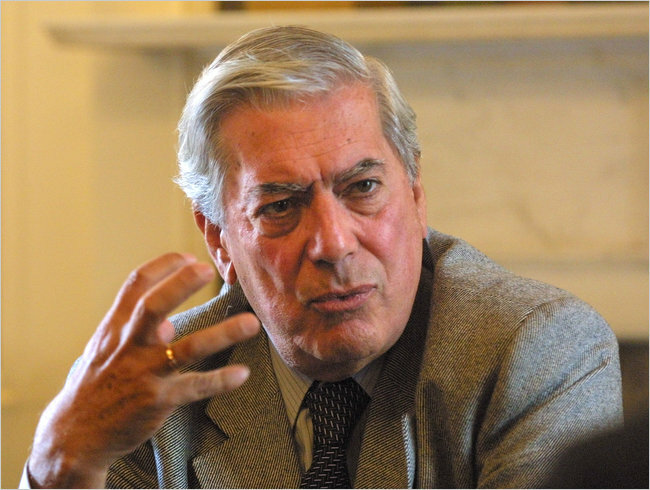 PERUVIAN AUTHOR Mario Vargas Llosa has been awarded the 2010 Nobel Prize in Literature for an astounding body of work which includes fiction, criticism, essays, journalism and plays since the 1960s. Vargas Llosa is the author of The Time of the Hero, The Green House, Conversation in the Cathedral, Aunt Julia and the Scriptwriter, The Feast of the Goat and The War of the End of the World, among many others. The last time a South American/Latin American won the Nobel was when Colombian Gabriel Garcia Marquez won it in 1982 and Mexican Octavio Paz in 1990. 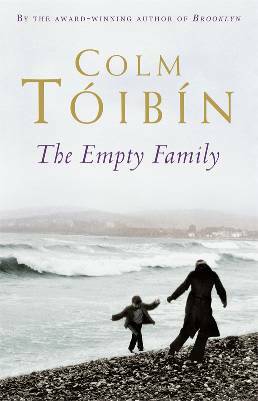 His new novel, The Dream of the Celt, based on the life of Roger Casement, the Irish revolutionary, will be published by Faber & Faber in early 2012. BELLE BOGGS’s début collection of linked stories, Mattaponi Queen (Graywolf Press, 2009), won the 2009 Bakeless Fiction Prize and was recently shortlisted for the 2010 Frank O’Connor International Short Story Award, alongside Laura van den Berg (What the World Will Look Like When All the Water Leaves Us), Robin Black (If I Loved You, I Would Tell You This), T.C. Boyle (Wild Child), David Constantine (The Shieling) and Ron Rash (Burning Bright). 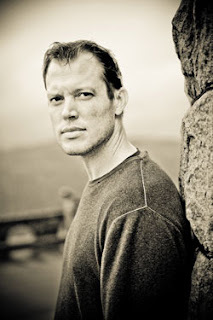 Boggs grew up in King William County, Virginia, and is both a writer and a teacher. Her first book, Mattaponi Queen, is a series of interconnected stories about the people living at the Mattaponi Indian reservation bordering the counties of Virginia. Stories from Mattaponi Queen have appeared in The Paris Review, Glimmer Train, Oxford American, At Length, storySouth and Five Chapters. She lives in Chatham County, North Carolina, with her husband, Richard Allen. 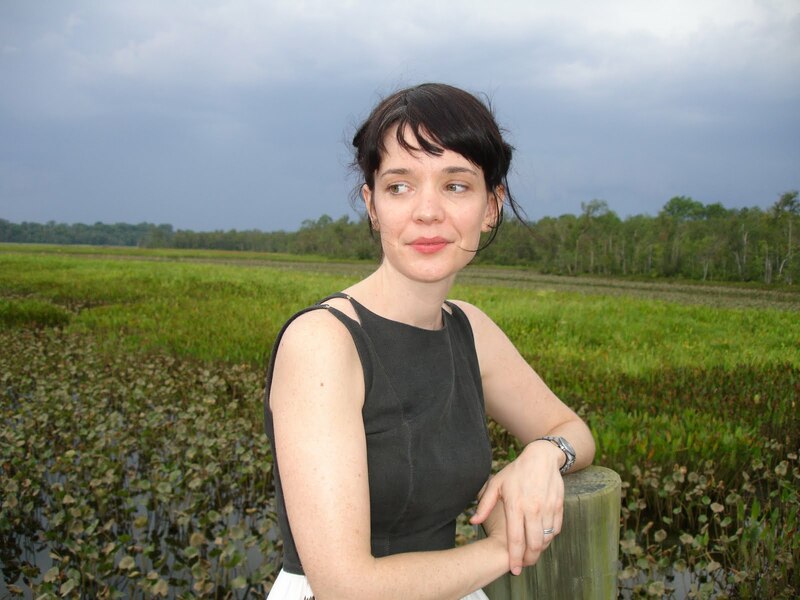 Belle, heartiest congratulations on winning the 2009 Bakeless Fiction Prize and being shortlisted for the 2010 Frank O’Connor International Short Story Prize for Fiction for your first book, Mattaponi Queen. What is it like to be recognised for your literary efforts? Thank you very much, Eric! It has been a dream come true. I didn’t know anything about it until I was on the longlist. I’ve been reading about the festival, and I’m excited to hear so many wonderful writers read and give talks. What was the first thing you did when you found out you were on the shortlist for the Frank O’Connor? I told my husband, did a little dance of joy, then walked around my property looking for cell phone reception so I could call my parents. What do you think of the other titles on the shortlist? Are you familiar with any of them? I haven’t read them yet—but I will. I’m already a fan of Ron Rash and T.C. Boyle, and I look forward to reading everyone’s stories. Could you tell me a bit about your family history and yourself? My parents live in Walkerton, Virginia, a town of fewer than 100 people on Virginia’s Middle Peninsula. My mother is an artist, my father is a contractor, and my brother and I are both teachers. After college I moved around a lot—to California, New York, North Carolina and Washington, D.C.—but my husband and I plan to stay put in Chatham County, North Carolina. I live in a tiny house in the woods and teach in a small rural high school that’s housed in an old textile mill on the Haw River. I love reading, cooking, kayaking, and being outside. I was born in Richmond, Virginia, and grew up in King William and King & Queen counties. When I was very young my family rented a house on a huge, weedy soybean farm, then moved to a 100-year-old log cabin, and finally to a 200-year-old house that was requisitioned as a hospital for Union soldiers during the Civil War. We sometimes find relics in the yard—a bone toothbrush, old glass bottles, Civil War bullets. My family has always lived close to the Mattaponi River, and we love to be out on the water. My very favourite place to be is out in a boat on the Mattaponi at dusk in the summer. The Mattaponi Indians make their home along the Mattaponi and trace their ancestry back to Chief Powhatan, father of Pocahontas and ruler of most of Tidewater Virginia when Europeans arrived in 1607. They’ve maintained many of their traditions—especially shad fishing—and members of that community are very important to the protection of the Mattaponi, which is one of America’s most pristine coastal rivers. (I have never been to America, but it is one country I have always wanted to visit.) What’s it like to live in America? You should visit! I’ve travelled very little in other countries, so it’s hard for me to compare. I think it differs greatly from place to place, since it’s such a big country, but I really liked Peter Hessler’s piece in The New Yorker a couple of months ago about moving back to the United States from China, the surprises (after being gone for more than a decade) and differences between the two cultures. For the most part, Americans drive too much, read too little, and buy too many things. It’s very easy here to go back to somewhere you used to live and find it utterly changed—knocked down, built up, turned into a store, etc. If you visited me in Chatham County I would take you kayaking on the Haw River, and I can almost promise that we would see a bald eagle. I have wanted to be a writer since I was 10 years old. I think it’s often really frustrating. I like that Lorrie Moore line, from “How to Become a Writer”: “First, try to be something, anything, else.” But most serious writers feel it as a kind of calling, I think—they can’t do anything else. 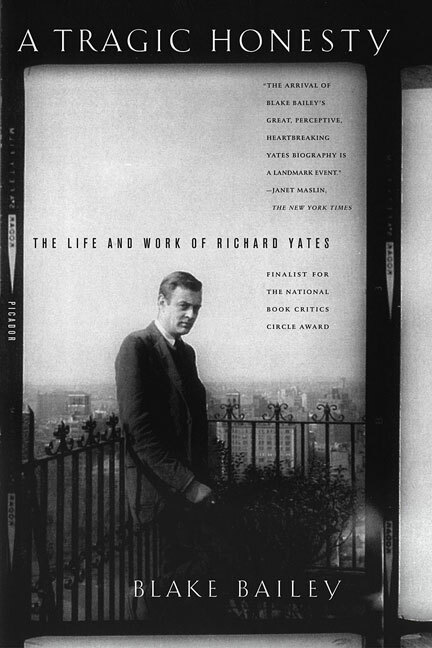 I love reading biographies of writers—one of my favourites is Blake Bailey’s biography of Richard Yates, A Tragic Honesty: The Life and Work of Richard Yates. This past winter I read Carol Sklenicka’s biography of Raymond Carver, Raymond Carver: A Writer’s Life, and was reminded again of the long struggle so many writers undertake, the hardships imposed on families, the small chance each writer has. For me, the greatest pleasure is in writing the work when it is going well, and giving someone you love something that you’ve written. You have now published your first work of literature. Looking back, was it difficult getting it published? Did you experience difficulty in finding an agent or a publisher for it? Mattaponi Queen was unagented—it won the Bakeless Fiction Prize after my husband submitted it to the contest, unbeknownst to me. I was very, very lucky to win—and luckier still to land at Graywolf Press, a wonderful independent press where everyone—writers, editors and publicists—functions as a team. I now have a wonderful agent, but that process can be so tricky. I wrote a blog post about my experiences with agents (and advice to other writers seeking an agent) in Poets & Writers’ Agent Action blog. Could you tell me a bit about Mattaponi Queen? What was the seed of the stories? Mattaponi Queen is a collection of twelve stories, many of them linked, set along the Mattaponi River in Virginia. Some of the stories are set on the Mattaponi Indian Reservation, and some as far as Washington, D.C. and Brooklyn. I wrote the very last story in the collection, “Youngest Daughter,” in a workshop at my MFA program at UC-Irvine and didn’t write the next stories for a few years. When I started the collection, I had just finished my first year of teaching in a public elementary school in Brooklyn, New York. It was summer, and I went to the New York Public Library every day and worked on the stories in the Rose Reading Room. Later I moved to North Carolina, taught General Educational Development (GED) classes, and finished a draft of the collection. I think the characters are influenced first by my family, then by the people I grew up around, and finally by the many people I’ve met as a teacher. How detailed do you lay out the plots before you started writing the stories? Did you know where you were going with the stories as you were writing them or did they evolve on their own? It depends on the story—sometimes I knew the whole story as I began, while sometimes the ending or another part of the story would reveal itself as I went along. What are some of the themes you dealt with in the stories? Were you conscious of these when you first set out to write the stories? I think the primary themes are things that I am very interested in as a person—race and class, ideas of home, abandonment, loneliness, the way the natural world changes. I don’t know that I was conscious of including them, though they are things I tend to think about frequently. I was lucky to spend some time with Minnie-haha Custalow, of the Mattaponi Indian Tribe, while working on some of the stories set on the Mattaponi Indian Reservation. I go home fairly often, which helps, but in general most of these stories grew out of life experiences in a place I know well. As you were putting the stories together, how did you know when a story is completed? Do deadlines determine this or do you feel a sense of confidence that there is no way you can improve on the text any further? That’s a good question! Sometimes I will feel that a story is done, but later an early reader will suggest elaboration and I’ll go back into the story. Revision is hard, but so important. A lot of times I’ll go back into a story and add a scene, or delete a scene, a while after I thought the story was done. I used to teach first grade, and the common refrain in writing workshop was “when you’re done, you’ve just begun.” My kids knew it (groaningly) by heart. I think I learned that I should write what most compels me at the time. Also, almost all of the characters in Mattaponi Queen—from George, the elementary school custodian who has moved his family to Washington, D.C., to Cutie Young, who spends almost her whole life in one house—have something in common with me, a quirk of personality or feeling that unites us. 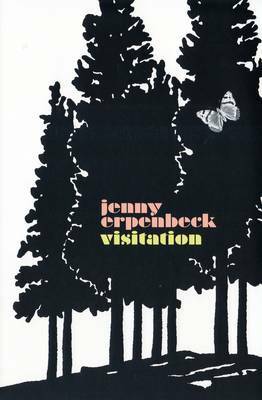 I also learned that the work itself is more important to me than the publishing of it; for a while I did not think my collection would be published, and that had become okay for me. 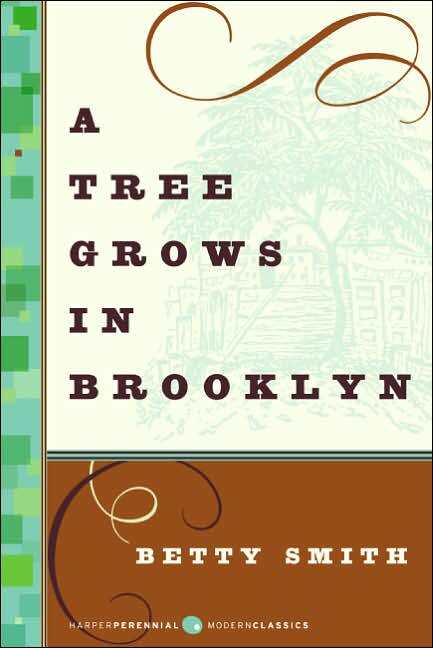 I am always interested in the kinds of books writers read during their formative years. What kinds of books did you read when you were growing up? Were there any books that had a significant impact on you at that early age? And have they in any way contributed to the making of you as a writer today? The first books I loved as a child were stories about animals: Arnold Lobel’s wise and funny Frog and Toad series, Kenneth Grahame’s The Wind in the Willows and Richard Adams’s Watership Down. I read and reread Louisa May Alcott’s Little Women, identified with Jo and wanted to be good, like Beth. I started reading Southern writers, like Clyde Edgerton and Lee Smith, when I was pretty young. I liked finding humour and idiosyncrasy and surprise in books, which influenced me to become a writer, to try to represent the world I came from. For me, great novels leave something for the reader to create or fill in, and they also have an element of surprise and newness. The writing must also be beautiful. 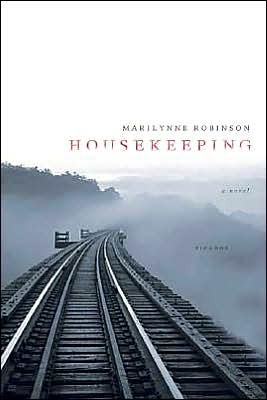 This is why a book like Marilynne Robinson’s Housekeeping, for me, is a great novel—or Halldor Laxness’s Independent People or Peter Matthiessen’s Shadow Country. My favourite living author is Edward P. Jones, partly because he writes about a part of the world that is very important to me—that Washington, D.C.-Virginia-North Carolina corridor. I had the chance to meet him at the University of North Carolina this spring and I was absolutely star-struck. Some contemporary authors I love are Maile Meloy, William Trevor, Alice Munro, Jayne Anne Phillips, Ha Jin, Ron Hansen, Percival Everett and Michelle Latiolais. I can’t wait for Mona Simpson’s My Hollywood to come out this summer. Right now, partly because I’m preparing for classes, I’m enjoying a lot of narrative nonfiction. This year I was crazy about Rebecca Skloot’s The Immortal Life of Henrietta Lacks, which has a lot to say about class, race, education and health care in America. On my list of (relatively recent) great contemporary nonfiction are Adrian Nicole LeBlanc’s Random Family: Love, Drugs, Trouble, and Coming of Age in the Bronx, Ron Suskind’s A Hope in the Unseen: An American Odyssey from the Inner City to the Ivy League, David Simon and Edward Burns’s The Corner: A Year in the Life of an Inner-City Neighborhood and David Simon’s Homicide: A Year on the Killing Streets. As a Southern woman writer and a lover of the short story, I always go back to Flannery O’Connor and Eudora Welty. I also love Richard Yates, William Styron, Edward P. Jones and Wendell Berry. Some of my favourite American classics: Evan S. Connell’s Mr. Bridge and Mrs. Bridge, William Styron’s Lie Down in Darkness and F. Scott Fitzgerald’s The Great Gatsby. I think Edward P. Jones’s The Known World will be an American classic. I don’t know how many people read Salvatore Scibona’s The End, but it is utterly original and beautiful. 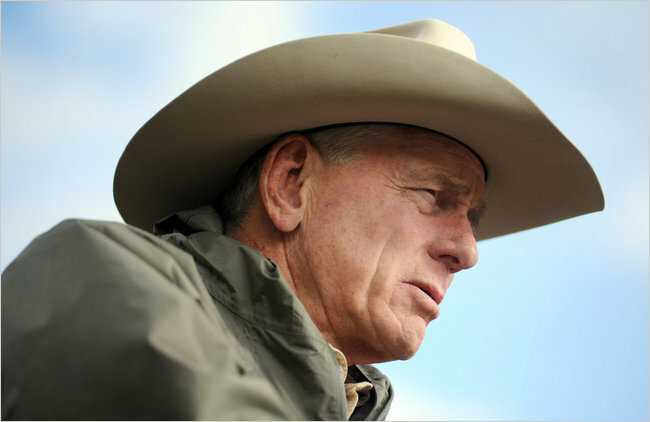 All the work of Wendell Berry should be read—now more than ever. I can also recommend Mary Yukari Waters (The Laws of Evening) and Michael Jaime-Becerra (Every Night Is Ladies’s Night), two writers of wonderfully delicate short-story collections who also have recently published fantastic novels (The Favorites and This Time Tomorrow respectively). Do you have an all-time favourite book? Why do you enjoy reading it? And do you reread books you enjoy the first time round? I think my all-time favourite book is William Maxwell’s slim, beautiful, enigmatic So Long, See You Tomorrow. Whenever I go to The Museum of Modern Art (MoMA) in New York I always visit Alberto Giacometti’s The Palace at 4 a.m. and think about the passage from that book in which it is described. I reread books all the time—some books and stories I reread almost every year. What about nonfiction? Do you enjoy reading them? What kinds? Yes! See above, my answer about contemporary things I’m reading—lots of narrative nonfiction. I’m also getting more into essays and creative nonfiction. I loved Eula Biss’s Notes from No Man’s Land: American Essays: what a smart, elegant, tough book. I just finished Janisse Ray’s Ecology of a Cracker Childhood, a fascinating memoir and history of the disappearing longleaf pine forests in the American Southeast. I don’t think they’re imperative, but I do think that—ideally—they bring new voices to the table, people who might not have the same amount of access to the literary world or time to write. I think it would have been difficult for me to develop as a writer without the three nurturing years I spent at UC-Irvine, the wonderful professors who taught me, partly because I would have been supporting myself at a job. But I don’t think it’s a good idea to go into debt to get an MFA—luckily, my program was free. And we probably don’t need more of them. I think characters in novels have a way of living in your head that feels more all-consuming than characters in short stories, and for that reason I love working on novels best. In fact, I’m working on one right now. My favourite short story is Delmore Schwartz’s “In Dreams Begin Responsibilities.” I love the elegance and surprise of this story. It’s so short but reveals a whole world—like a novel. For better or worse, we are now in the age of the e-book. 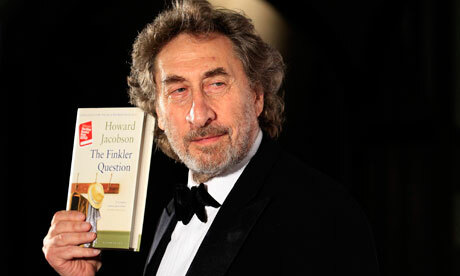 What are your thoughts on the future of books, particularly on e-books and e-readers? Do you think they will replace physical books one day? Can you think of any fallouts relating to e-books that might impinge on professional writers in the near future? No, style is absolutely why I read and why I write. I don’t read a lot of popular fiction—though I think it’s great when sometimes a literary book transcends that audience, and everyone reads it (Yann Martel’s fantastic Life of Pi comes to mind)—partly because of this. Popular fiction seems too concerned with plot, not enough with originality and writing, and it doesn’t change the reader. It’s a passive experience, and I’m not interested in passive reading. TRAGICALLY ORPHANED at the age of three, Kutu is adopted by the animist bomoh of Kampung Pokok Tertinggi in the wilds of Borneo. Over the course of the next thirteen years, the powerful sorcerer schools the boy in the supernatural arts, preparing him to take his place when he himself must leave on a perilous quest in the service of the tree-god he worships. However, before he can be inducted into the office he is fated to hold, disaster strikes, and Kutu the boy-bomoh suddenly finds himself alone in the world—separated perhaps forever from his adoptive father and cast out by the villagers he had been trained to serve. Will his magical powers suffice to overcome the dangers he must face if he hopes to survive? 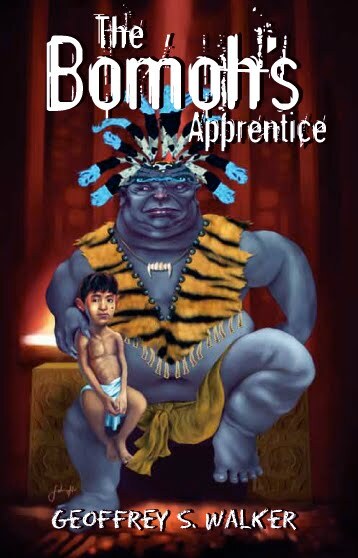 A spellbinding fantasy that celebrates the timeless, exotic allure of the Land Below the Wind, The Bomoh’s Apprentice will delight readers of all ages with its rich cast of characters and the thrilling twists and turns of its plot. 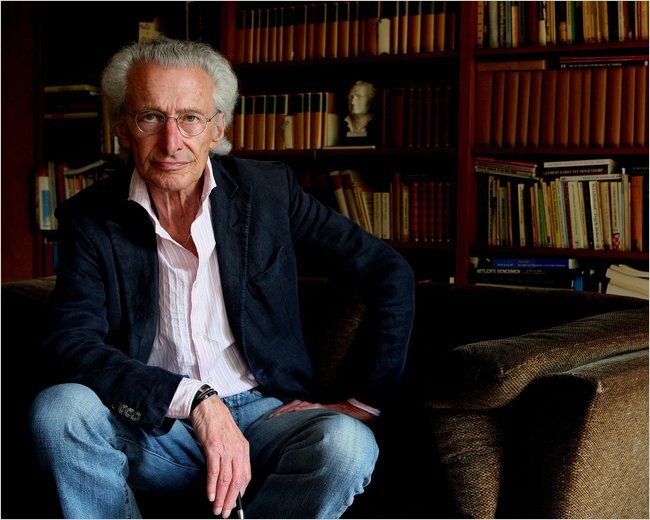 GEOFFREY S. WALKER first read about Borneo as a young boy and his fascination with the island has stayed with him ever since. In 2004, following a successful career in advertising, he left the United States and settled in Kota Kinabalu, Sabah. As a member of the Sabah Society, he has had the opportunity to explore many parts of Borneo that are well off the beaten track, and these experiences helped shape his first novel, The Bomoh’s Apprentice.